A birthday cake for a little girl whose party was the 31st of october. 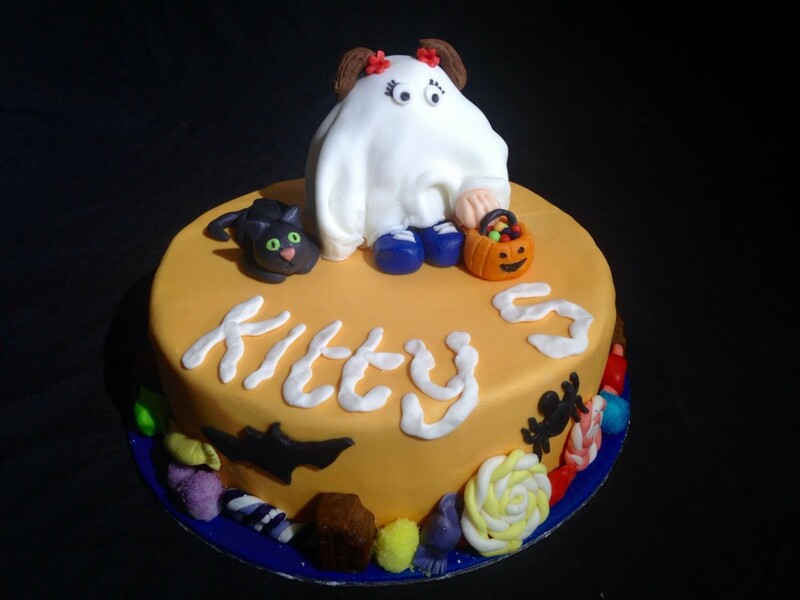 Decorated on top with a little girl in a ghost costume, a pumpkin sweet basket with sweets in, a black cat and ‘spooky’ writing. Around the bottom of the cake a variety of sweets and chocolate made from icing and some sprinkled in coloured sugar. Added bats & spiders around the edge.